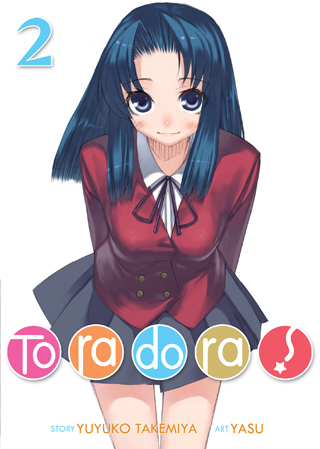 The new school year brings with it a new transfer student–Kawashima Ami, a breathtakingly gorgeous model who quickly has the whole class smitten. But Ami’s delicate exterior hides a personality that isn’t quite as innocent as she seems. When she unwittingly shows Aisaka Taiga her true colors, a bad first meeting quickly escalates into a bitter rivalry, made worse by the fact that Ami seems determined to charm Ryuuji. The Palmtop Tiger is on the warpath, and Ryuuji might just have to pick a side–or become a casualty of war!